Three books into the series, I think it’s safe to say that I’m a fan of Arkie Sparkle. Sometimes a book series will have lost its initial momentum by this point, but I found that I enjoyed White Fright more than Time Trap, which is particularly impressive given that I enjoyed Time Trap more than the first book, Code Crimson. The characters have definitely come into their own by this point, and there is little need for scene-setting, so the reader is thrust straight into the action. While the other books have largely concentrated on brilliant technology and journeys back in time, White Fright moves away from this formula a little, focussing instead upon the mystery surrounding the kidnapping of Arkie’s parents and the clues that the two cousins have to work with. This was a change that worked well for me, as the mystery captured my interest right from the beginning, and I’ve been jumping to conclusions ever since! A new character is introduced here, which adds a whole new dimension to the story. What seemed like a fairly simple mystery in the beginning is now becoming quite complex and interesting. There’s also a little more discussion of Arkie’s emotional reaction to the loss of her parents, as would be expected as the initial excitement of the treasure hunt wears off and the reality of the situation begins to sink in. I enjoyed the glimpses into her family’s back story and the hints at the strong relationship that she has with her parents. Most importantly, however, the Arkie Sparkle, Treasure Hunter series continues to be interesting, educational and a whole lot of fun. The plot is thickening, the cast list is growing and there are still four more days to go. I can’t wait to see where the girls end up next. Meanwhile, if you’re on Tumblr (or just on the Internet!) 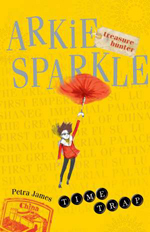 there’s now an Arkie Sparkle blog to follow, complete with fun facts and character information. You can find it at http://arkiesparkle.com. These books are just so much fun. I read the first book in the series, Code Crimson last month, and thoroughly enjoyed it, and Time Trap is even better. Because there’s no need to set up the situation, the book can launch right into the next adventure, which means that the same exciting momentum is maintained throughout. Anyone who missed the original will not be completely lost, however, as the two main characters, Arkie and TJ, sum up the vital points at the beginning of this instalment. After heading to Egypt in Code Crimson, Arkie and TJ are off to ancient China in Time Trap. I hadn’t been expecting to enjoy the new location quite as much, but I was proven wrong, with the plot providing plenty of interest even without a pre-existing interest in China to build upon. What’s more, I felt like I actually learnt something, without it ever seeming like I was being taught. I really enjoy the way the Arkie Sparkle series presents its readers with snippets of information about the places that the girls visit – both in terms of their present and their history. 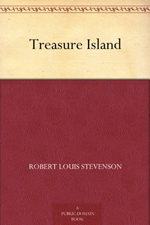 The little facts at the end are particularly good, and just the sort of thing that is enjoyed by young readers. Arkie and TJ are still very likeable characters, and the new characters introduced in Time Trap are well chosen, with the First Emperor and his Chief Advisor being worthy villains and the scholars Lu Sheng and Fu Su providing insight into life at that time. I really think the amazing technology that Arkie and TJ use is the real star of the series, however. The inventions are just so quirky and fun. My only disappointment with Time Trap was the fact that the ending felt a little abrupt. I would have liked the danger to be a little more imminent, to add to the excitement. That’s a minor quibble, though. I really do enjoy this series, and would happily recommend it to all young readers. 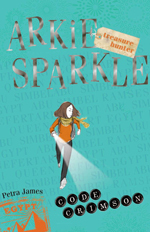 I was sold on the new Arkie Sparkle, Treasure Hunter series the moment I read that it involved archaeology and a treasure hunt that spans all seven continents. I’d have been all over these books as a kid, and they hold a good deal of appeal for me as an adult, as well. So many books aimed at young girls seem to take femininity to extremes. There’s a place for fairies and princesses and pink satin dresses, but when I was that age I wanted to read tales of great adventure, with female protagonists who solved mysteries and climbed mountains, instead of waiting around to be rescued by a prince. Code Crimson is just that kind of novel. Aimed at ages seven and up, it’s a chapter book with fun illustrations, handwriting-font interjections and additional information such as the NATO phonetic alphabet. There’s even a short factual section at the end of the book, which gives just the right amount of information about the real people and archaeological finds that formed the inspiration for the book’s action. The action itself is very fun, with Arkie and her cousin heading off to Egypt in the family supersonic jet in order to hunt treasure and eventually achieve the return of Arkie’s kidnapped parents. If the jet isn’t exciting enough for young readers, the treasure hunters are also equipped with time travelling technology and umbrellas that act like helicopters – plenty of gimmicks and gadgets to add a strong science fiction element to the adventure plot. Although it’s only a short tale, as you’d expect for the audience it’s aimed at, Code Crimson manages to fit in a lot of action and does a great job of introducing the series’s main characters without it ever feeling forced. 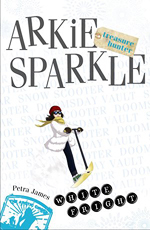 I think the Arkie Sparkle, Treasure Hunter books will prove a hit with young readers – and the low price point of the first book should prove just as pleasing to the parents who will be buying it! When Allen & Unwin announced the release of The Tunnels of Tarcoola, I knew I needed to read it, because it sounded just like a modern, Australian version of all of the Enid Blyton adventure and mystery stories I adored as a kid and still gain a great amount of pleasure from as an adult. Luckily, once I got my hands on a copy, I wasn’t disappointed at all. Jennifer Walsh has done a great job of taking a tried and true format for children’s mystery fiction and updating it to make it her own. One of the great things about The Tunnels of Tarcoola is the way that it has such a strong sense of place. Set in Sydney, it has a very Australian feel with a solid historical foundation. 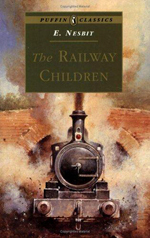 Much of the mystery in the novel concerns events that happened during the Second World War, and Walsh does an admirable job of explaining the basics of the war to young readers without it feeling too didactic at the expense of plot or action. I was particularly impressed by the appropriately age-targeted Holocaust discussion. While the mystery that the friends stumble upon has its roots in the past, the novel remains relevant to modern readers due to to its engaging characters. It takes a little while for the reader to get to learn about the cast’s individual quirks, but the characters are well distinguished both in terms of personality and their interactions with each other. There’s a very small amount of romance here, but it’s at an age appropriate level and doesn’t detract at all from the main focusses of the novel. I did feel a little uneasy about the use of the term ‘slutty’ at one point, particularly as it was used to describe a group of twelve-year-old girls. It’s misogynistic at the best of times and, given its meaning, I don’t think the word has a place in a middle-grade novel. Likewise, the recurring theme of the police being dismissed as an option because they wouldn’t do anything about crimes against children struck me as being a dangerous opinion to be put forward in a book for young people – especially when it is a parent figure expressing that point of view. That said, I understand why this stance was taken in terms of plot advancement. 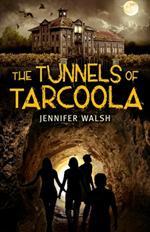 All in all, however, The Tunnels of Tarcoola was an extremely enjoyable read, with a great mystery and characters that are easy to become invested in – from Kitty, David, Andrea and Martin right through to the elderly Clarissa Woolf. There’s plenty of action and exploration, too, which ensures that it really is a worthy addition to the children’s mystery genre. I would have no hesitation in recommending The Tunnels of Tarcoola to middle grade readers – or, indeed, to people of all ages who love the Famous Five books and other Enid Blyton series. Tally is pretty now. Her time in the Smoke is over and she’s settling into the life she so desperately wanted for the first sixteen years of her existence. She has her best friend, Peris, back, her friendship with Shay is rejuvenated and she seems like a sure bet to be accepted into the Crims, the coolest clique in New Pretty Town. But for some reason, Tally feels like she has to try a little too hard to fit into the pretty world. Her memories of the Smoke are faded and confused, and yet something is tugging at the edge of her conscience. Something important. But what? 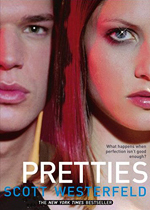 I wasn’t sure what to expect from Pretties, as review opinion seemed to be divided upon whether it was a better or worse book than Uglies, its predecessor. Personally, I think I come down on the side of it being better, largely by virtue of the fact that its place in the trilogy meant that Pretties was able to jump straight into the action, without all of the scene setting and universe building that made Uglies a slower read in places. Pretties is a fantastic adventure yarn. Apart from a couple of short sections, the book moves at an exciting pace, pulling the reader from one heart-pounding (or perhaps bubbly-making!) situation to the next with little time wasted on exposition or internal monologues. The noticeable exception to this rule was the section of the novel devoted to Tally’s time among the pre-Rusties. I’m interested to see whether this diversion proves important to the final installation of the trilogy, because it felt a little unnecessary to Westerfeld’s plot and slowed the action at a pivotal point. As a protagonist, Tally worked so much better for me in Pretties. She seemed to act, rather than merely react. While I didn’t like her much at all in Uglies, I became rather fond of her in Pretties – she was your typical tough female action hero, and that’s a character archetype that I always enjoy. I think my greatest difficulty with her as a reader came from an element of the plot relating to the brain lesions associated with her becoming pretty. I won’t specify due to spoilers (although those who have read the book will easily guess what I’m talking about) but it had a bit of a Mary Sue feel to it. I really enjoyed the introduction of Zane. Chris held little interest for me, but Zane felt like a rounded and realistic character. I also preferred the nature of his relationship with Tally. It felt like it grew out of commonality rather than the oh-so-common instant attraction that one finds so often in YA fiction. In contrast, I was disappointed by Shay’s role within this book. I’d hoped that the boy-centric rivalry of the first book would have a satisfying resolution in the second but, unfortunately, this was not the case. I had my rant about this in my Uglies review, so I won’t repeat it here, but I think there are better ways of introducing conflict. All in all, Pretties was a solid adventure offering, which set things up for a strong finale in Specials. Whether Scott Westerfeld managed to pull off that perfect ending, however, is something I’m yet to discover. I’ve always loved E. Nesbit’s stories, but somehow missed reading this one until now. Just as lovely and old-fashioned as the rest.